Subhasree Roy from Calcutta, B.Com Graduate. 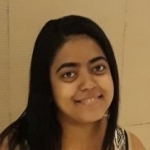 AUDIT INTERNAL AUDIT FINANCE BANKING FINANCIAL SERVICES MICROSOFT OFFICE EXCEL WORD NAV ACCOUNTING FINANCIAL REPORTING..
are one of expert skill area's of Subhasree Roy . Subhasree Roy is working in Finance industry.